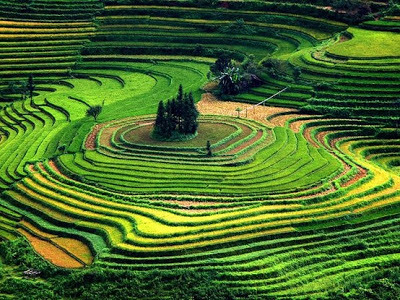 Known with many famous tourist sites with natural beauties, tranquil villages, ancient pagodas, beautiful lakes, Vietnam has been a popular tourist destination in the world. Not convinced as yet? Here are the top reasons why Vietnam should be your next destination. Vietnam is just beautiful, its geography, topography, landscapes, and especially 3265 km of coastline. Magnificent mountains, Red River and the Mekong deltas, rivers and primary forests make the country an amazing land to visit. The top destinations for ideal Vietnam travel is the 2000 fascinating naturally sculptures rising up from emerald water in Halong Bay. Or head to the Northwest and enjoy the spectacular scenery of terrace rice fields in Sapa, occupied by different tribes. In the central region, Vietnam boasts its best beaches on earth and ready for your golden holidays in Cua Dai beach, Nha Trang beach or Mui Ne beach. In the Mekong delta, tourists get amazed by amazing ways of life from floating villages and floating markets. It is not difficult to find out key highlights of Vietnam. The small country is proud to have rich heritages, from natural ones to man-made spiritual. So far Vietnam has 7 UNESCO World Natural and Cultural Heritage Sites which contribute to its appealing beauty, including Hue Complex Monuments, Hoi An ancient town, My Son Holy Land, PhongNha-Ke Bang National Park, Halong Bay, The Cultural Space of Gong in the Central Highlands, the Royal Court Music of Hue. 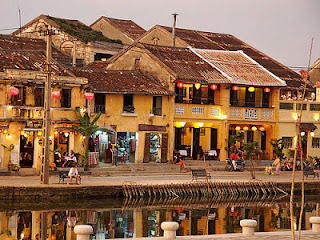 Other intangible heritages that attract tourists are Xoan singing, Folk songs and Ca Tru. Vietnamese people are the most hospitable and friendly in the World. This feature is popular in all regions of the country. You can find happy faces everywhere from cities to the countryside. You will have a chance to talk and chat with them happily. Foreignkids with blond hair and blue eyes will be most adored by Vietnamese women. Visiting their home, guests will often be offered all kind of fruits and food prepared with great attention for free. The country is populated by 54 groups of people living happily and sharing unique cultures. Each of the group has their own cultures, languages, customs and clothes which make Vietnam a multi-cultural destination. For example, the black H’Mong ladies’ clothes are in black color while the Red Dzao ladies’ clothes are colorful with red scraps on their heads. Visitors will learn different ways of life and it is just making their Vietnam holidays more interesting. Vietnamese cuisine is just awesome, and hardly could any visitors have negative comments on Vietnamese food. There is admirably a great balance between vegetable and meats, as well as a selective use of spices to reach a fine taste. Vietnamese food can be considered one of the healthiest cuisines worldwide. Traditional Vietnamese cooking is appreciated for the freshness of the ingredients and for the minimum use of oil which makes this cuisine very healthy. Hardly do families use processed food for daily meals. Most visitors to Hanoi, Hue, Hoi An and Ho Chi Minh City will try to plan for a half day cooking tour to learn hands on cooking skills. One reason that draws more visitors to Vietnam is its steady and rapid economic growth. It is not a war anymore. After some 3 decades of open door policies, the country is now in the middle income country. In cities, sky scrapers, high office buildings, residential towns and services are booming. Most visitors will be surprised to see luxurious cars and items are on the markets in this once war torn country. More and more foreigners work in Vietnam, which is seen as a tiger in Southeast Asia. Last but not least is the country’s top security in the World for your dream holiday. Vietnam is now one of the safest countries in the world. There are no fears for long term strikes, protests, terrorism, guerilla attacks, bombings, kidnaps or killings that affect your holiday. With one party, Vietnam is highly controlled with its own system. 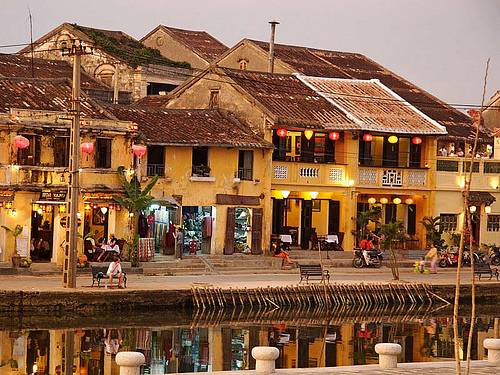 In particular, foreigners in Vietnam are highly protected by the legal systems and authorities. Vietnamese government will give a very strict penalty to Vietnamese people who cause damages to foreigners.